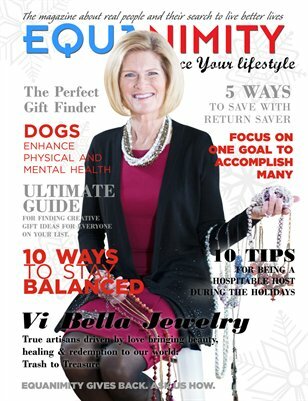 Equanimity Magazine winter edition is all about products that inspire creativity. It is the ultimate gift guide to assist you in finding your unique gift. Cover model Julie Hulstein is a true artisan who inspires others to be creative. Our 10 ways to stay balanced serves as a guide to achieving the balance you need during the holiday season.